Bakeries | Gluten Free? Gimme Three! Crumbs to carry a gluten free cupcake! In a covert op on Friday night, a friend and I stopped into Crumbs Bakeshop downtown on 11th Street, since I wanted to check if they had a gluten free variety. The guy working there told us a bit coyly that they didn’t have one, but then said that they should have one by October! He said that there was already a button for it on the register, so it sounds like it’s legitimate, ven though on their website, they still say that they don’t carry them. I also took this undercover picture, since I guess you’re not allowed to take pictures in Crumbs? 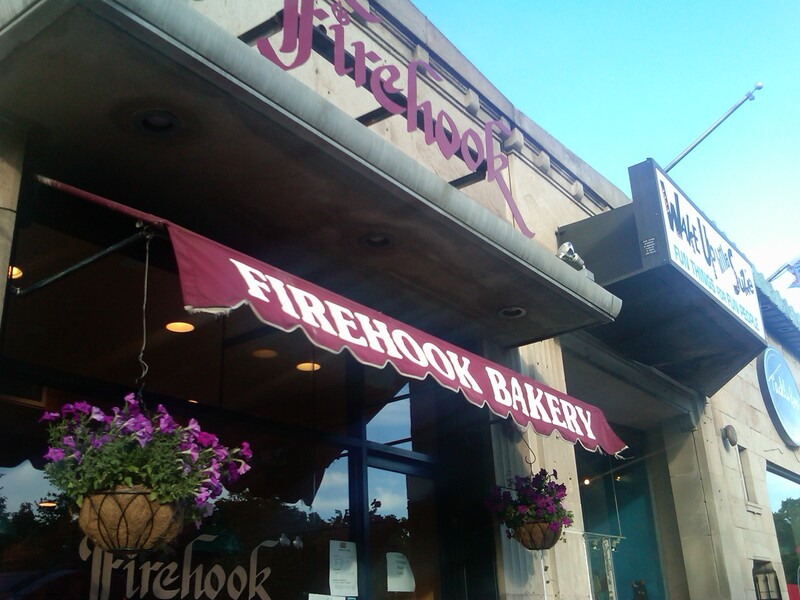 After picking up a shirt from the dry cleaners that I sprayed with curry sauce when I got Thai food from Sticky Rice last weekend, I stopped into Firehook Bakery in Cleveland Park on a whim. Usually I try to avoid bakeries because of their forbidden fruits and torturous smells. But I thought I remembered something about them having gluten free options, so I figured I’d check it out. The guy working there told me that they sometimes have brownies, but since they get all of their food delivered from the central Firehook bakery, they don’t have them all the time. They did, however, have coconut macaroons. 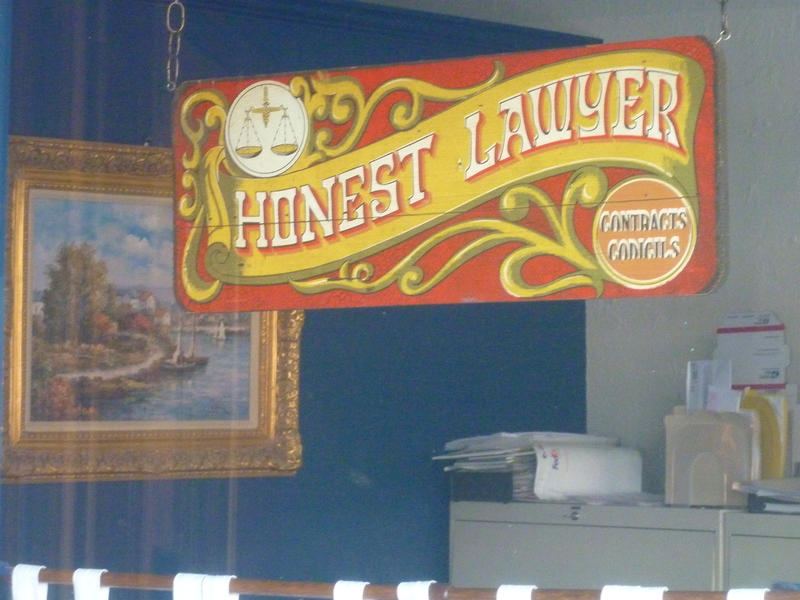 Which are fine and dandy. But the real star of their show are the chocolate-covered coconut macaroons. Not ones with the chocolate mixed in, but covered in a layer of dark chocolate. After waiting all of five minutes when I got home, I broke into it. Um…amazing. 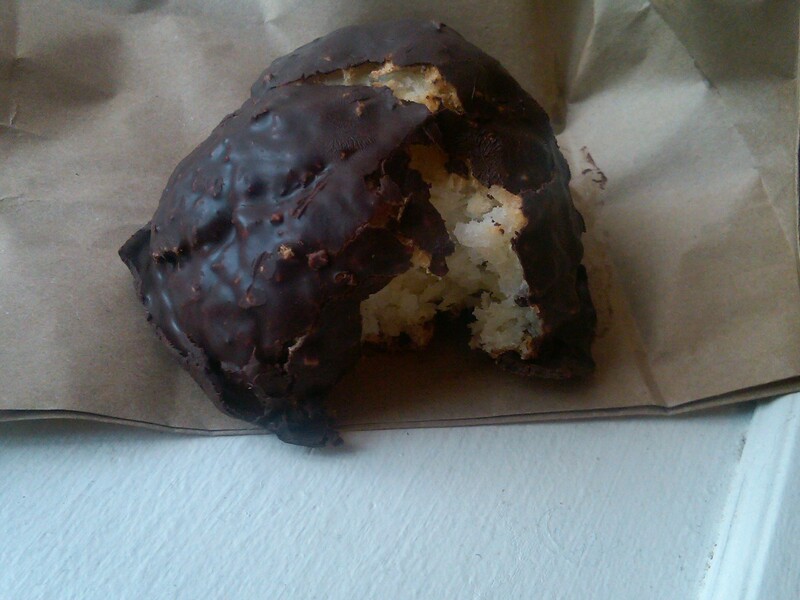 The chocolate is dark, but creamy, and the macaroon in the center is really moist. Plus it’s the size of a tennis ball, which doesn’t hurt either. If you wanted to make them yourself, I’m sure you could use this recipe tutorial which features a really awkward old people on Facebook interlude around the 2:00 mark… but why do that when the ones at Firehook are this good? Yesterday I got my first real dose of Christmas in the city. We went in to get some ingredients for dinner from Whole Foods, and a little present to send my dad (to make up for abandoning him on Thanksgiving). But there was so much to see that we ended up making an afternoon of it. 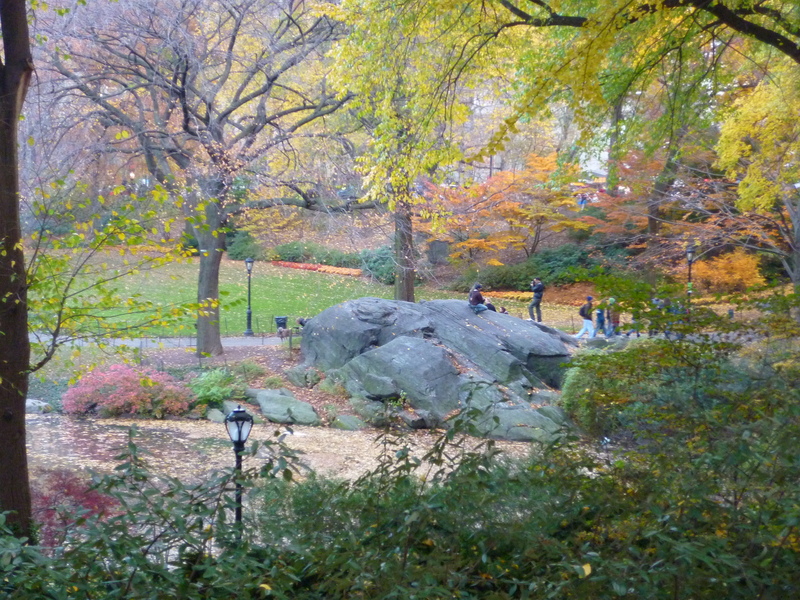 Who can take a quick trip to the grocery store when you get off the train and see this view of Central Park? 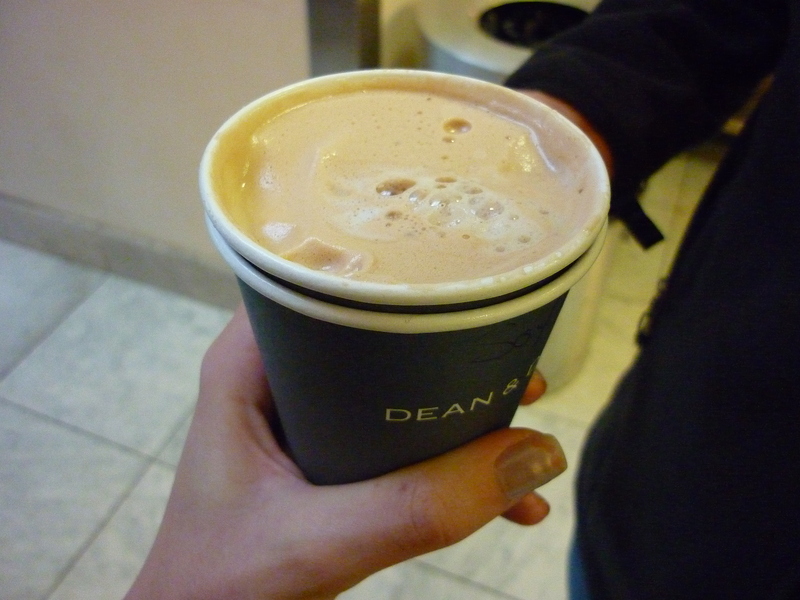 So we headed to Dean and Deluca to see if they had anything for my dad, and to give us an excuse to get coffee ourselves. Usually I kind of hate going there a little bit, because they have all of the best baked goods in the city and I can’t have ANY of it. So, being in the holiday spirit and all, I opted for the “Pumpkin Potion” made with soy milk. It’s a blend of something pumpkin, and chai, and I think magic – because this thing was soooooo good. 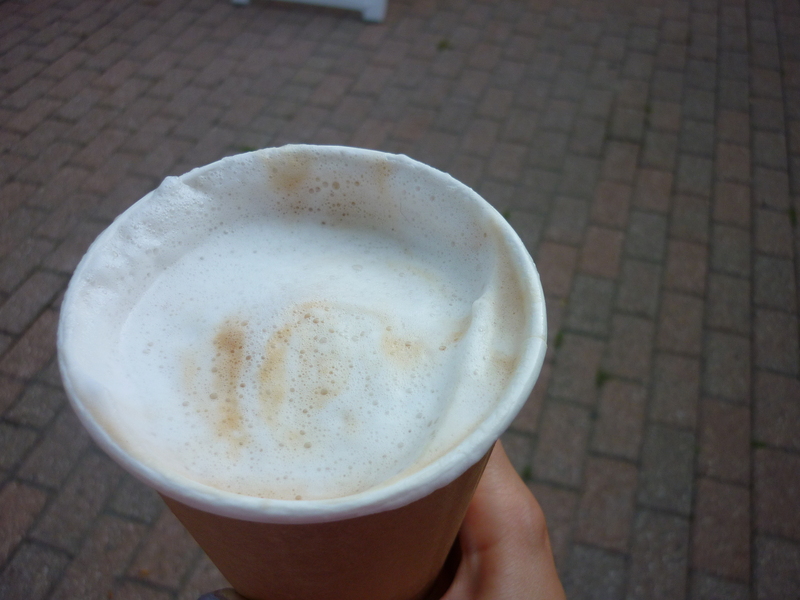 It made Pumpkin Spice Lattes from Starbucks look like car wash hot chocolate (what? they didn’t serve hot chocolate at your car wash?) It was incredibly frothy, and even though I’m not usually a fan of chai, the spiced and subtle pumpkin flavor was really amazing. Almost made me not envy the line of people getting cupcakes and pastries. Almost. Macaroons (sometimes they have packaged ones, but the sales people will never give me a straight answer about the ones in their display case). 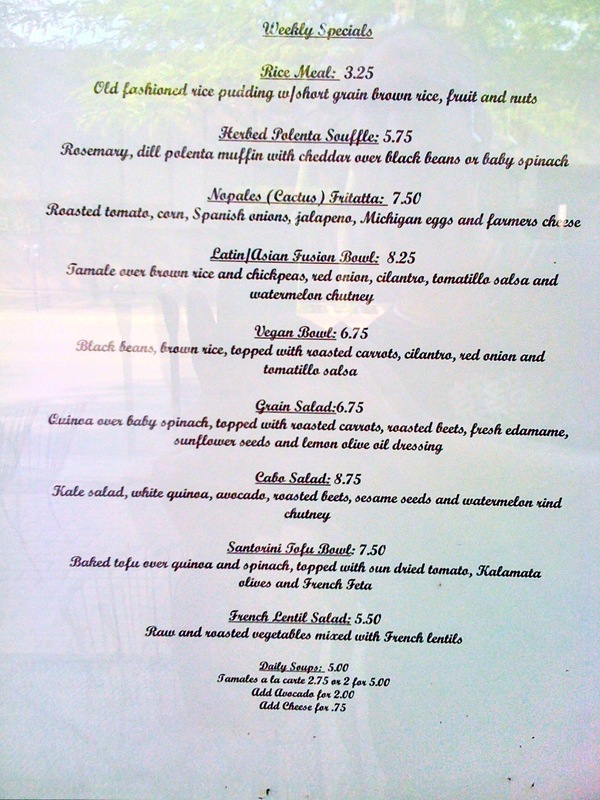 Plus, if you’re in the area you might as well get your macaroons here). At the SoHo location they also have a lot of prepared foods, sushi (but no soy sauce), cheeses, and fresh fruits and veggies. 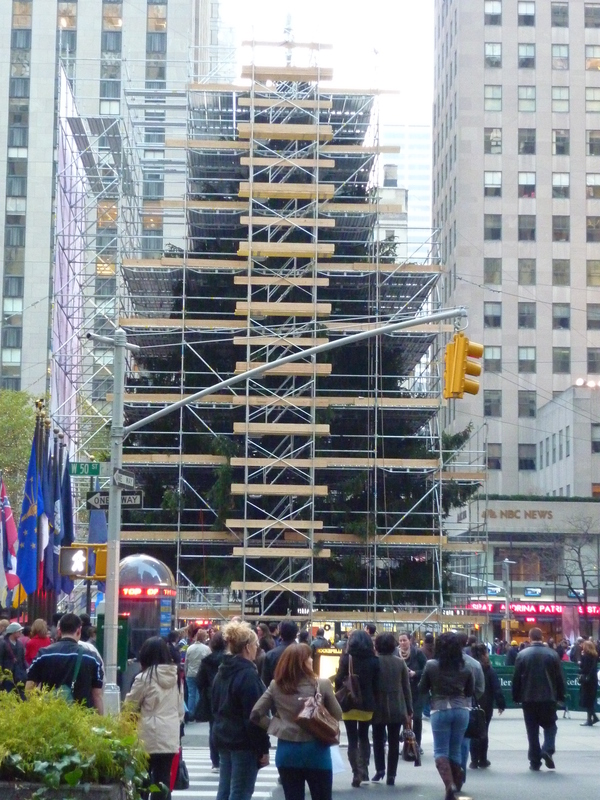 On the way there we saw the big tree getting prepped for the lighting in Rockefellar Center. Right now it looks like a construction zone, but soon it will be all gussied up and ready for Christmas. On W 48th Street between 6th and 5th Ave.
It’s happening! 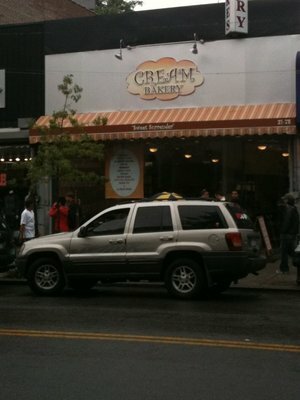 GF Cupcakes in Queens! 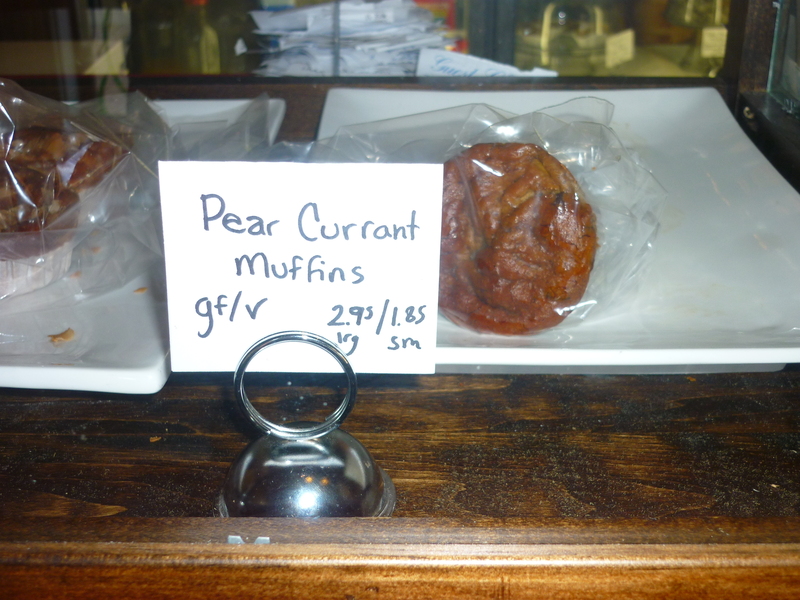 Queens is a bit slow to come around to having gluten free options in grocery stores and bakeries. 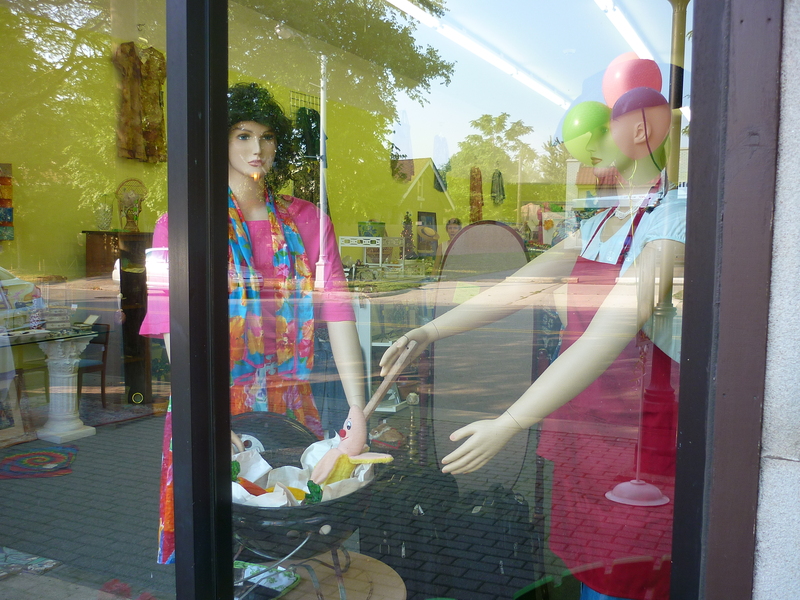 Mostly because most of the independently-owned shops are family operations that have been around forever, or focus on ethnic or regional specialties. So, as excited as I was to see a new bakery pop up on Steinway, I was not expecting to see a sign in the window advertising gluten-free cupcake options! 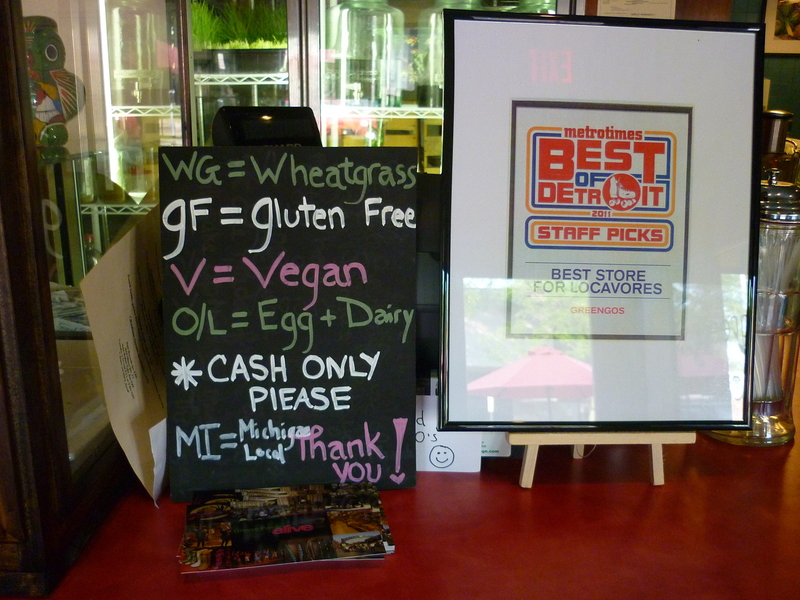 We even joked around saying “Wouldn’t it be cool if they had some gluten free stuff?” Well, they DO! The only flavors that they had of the gluten free persuasion were vanilla with chocolate frosting, and chocolate with chocolate frosting. I wasn’t really in the cupcake mood (I know… so sad). But I’ll update this post when I try them! Yesterday was a positively glorious day to live in New York City. 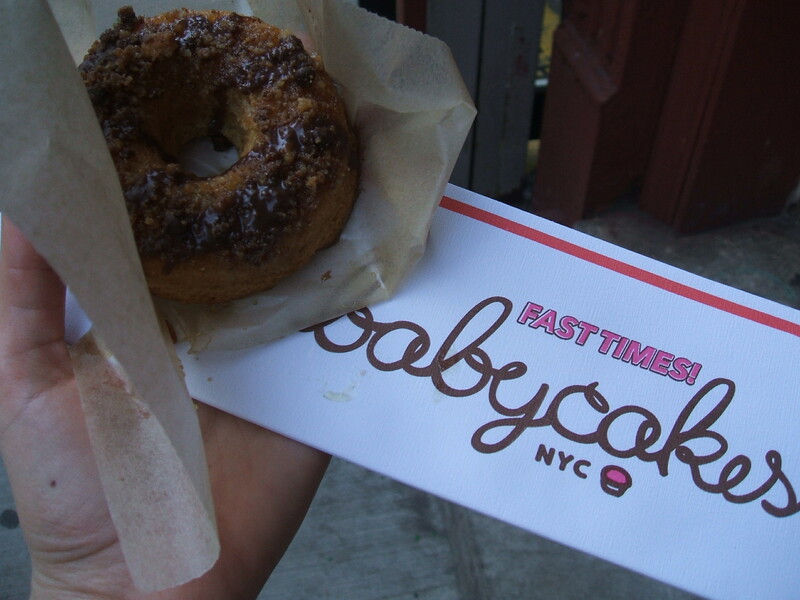 I’d been planning on going back to Babycakes for quite some time, so it seemed like the perfect day to make the trek down to the (lowest of the) Lower East Side to get me something sweet. 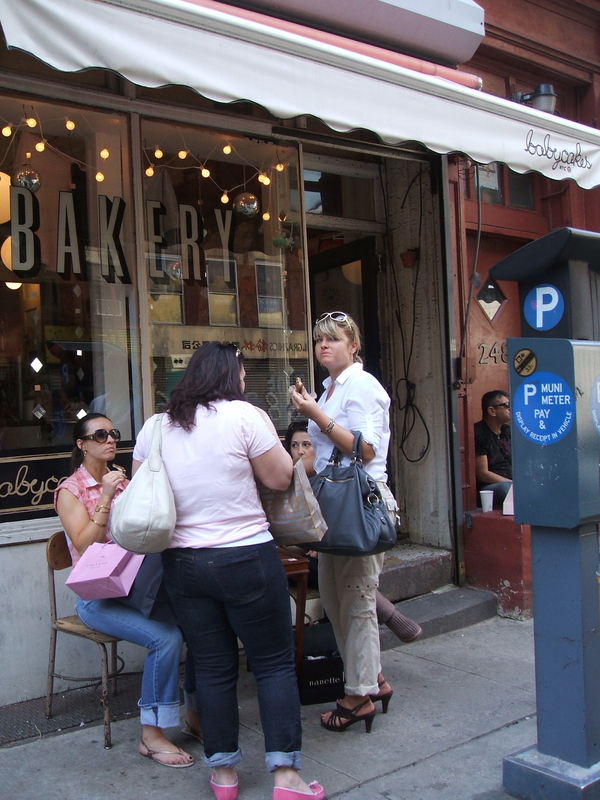 We got off the train at Prince Street, pushed through the crowds in Soho, made our way through the outskirts of Chinatown, and eventually came to the shining sugary Mecca of gluten free bakeries: Babycakes! 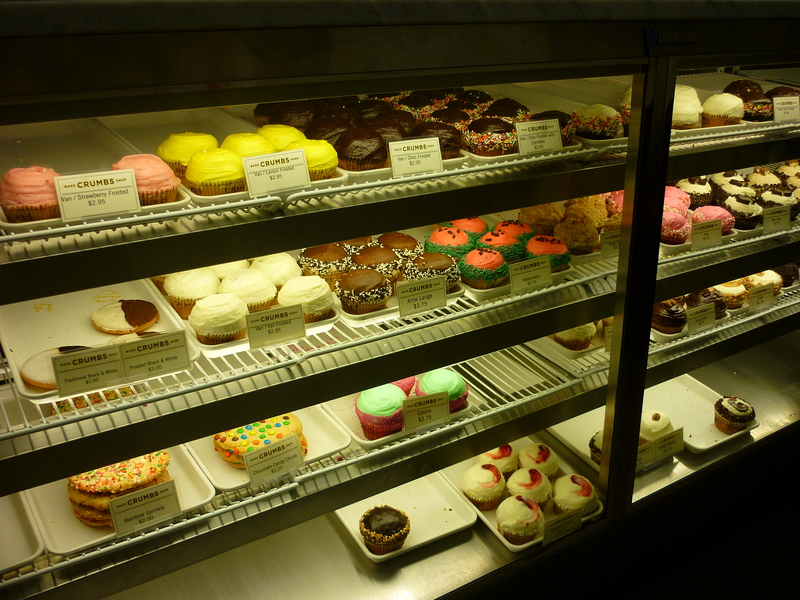 *Sidenote daydream on bakeries: they are probably my favorite place on earth. The smell of sweet saccharine goodness, the aesthetic beauty of all of the goodies lined up in their little rows according to type and color, the wax paper that they use to pick everything up with, the little samples that they put out on the counter so you don’t strangle someone while you’re waiting. It’s amazing, and I purposely avoid bakeries now for the very same reasons. 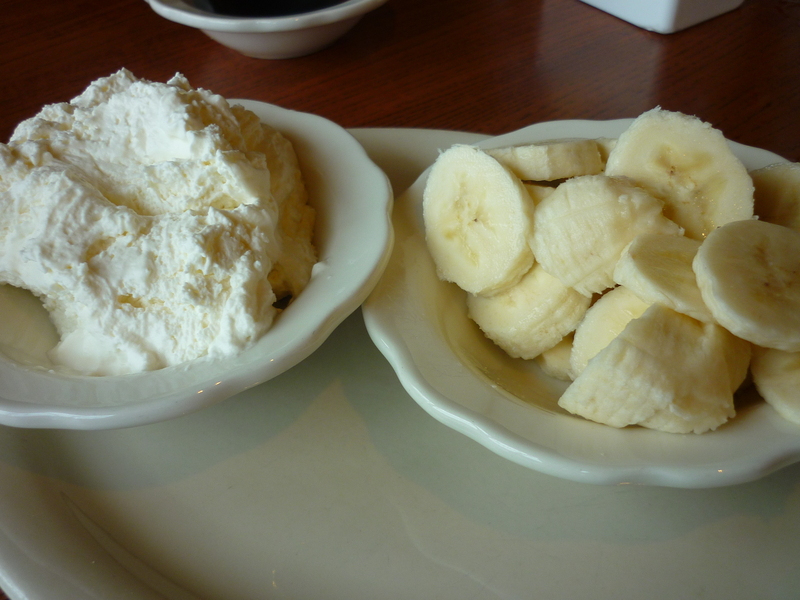 No use torturing myself in a place that I can’t eat anything…but Babycakes is different. Now came the difficult part – choosing what to get. They had a variety of cupcakes (pumpkin, carrot, red velvet, vanilla chocolate), brownies, frosted ginger bread, frosted banana chocolate-chip bread, a variety of cookies, and a variety of donuts. Originally I had my eye on a chocolate dip donut (a rare find in the GF world), but then the guy in front of me ordered the frosted banana chocolate-chip cake and I wanted that too. But, he took the last piece [jerk]. **Deep breath out** IT WAS SO GOOD. It was so moist, gooeyness overflowing from all over it. It had this chocolate drizzle on top, and just melted in my mouth with every bite. The only regret I had was not getting a tall glass of milk to go with it. I haven’t eaten a donut in THREE YEARS. THIS WAS AWESOME. 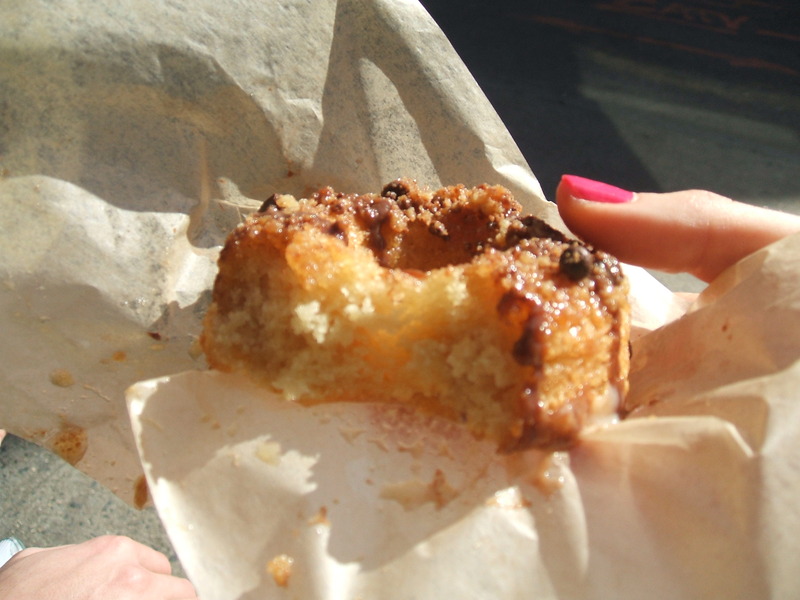 And I got the wax paper that I love…and I licked it clean right in the middle of the street. It is pricey ($4-5 for anything). But worth every penny. It is deep into Manhattan. But worth the walk. I’ve read mixed reviews from gluten-eaters, but it is certain to be a treat for anyone with Celiac. 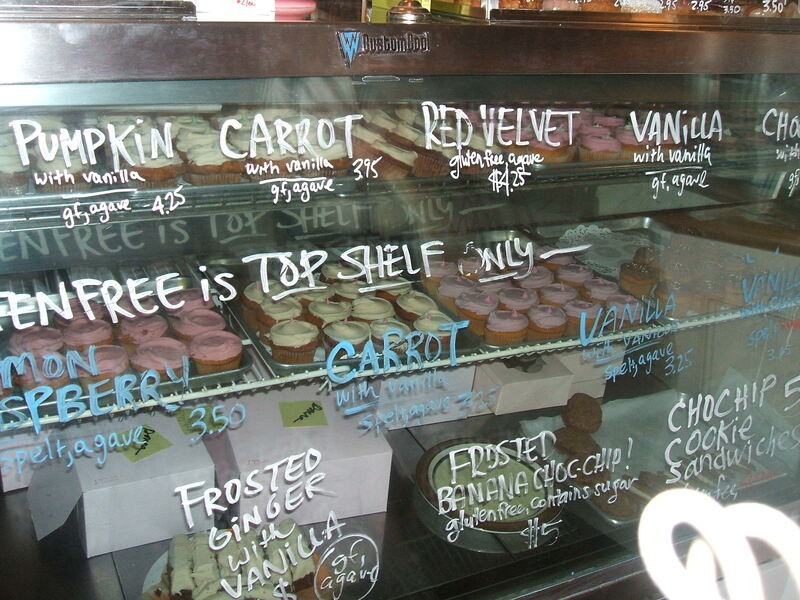 To get some yumminess yourself – 248 Broome Street, between Orchard and Ludlow. Or order from www.babycakesnyc.com.